Fyndr® Alert™ will automatically send out a distress call in an event of a collision or when manually activated via the SOS Alert button. Simple by design, Fyndr® Alert™ gives you high-tech safety features and priceless peace of mind the instant you plug it in. 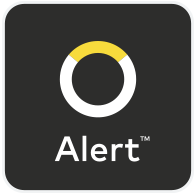 Automatically alert contacts in crash or send SOS alerts to your contacts at a push of a button. 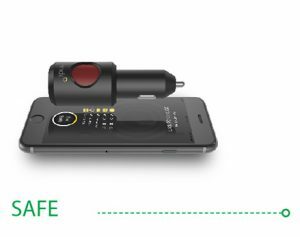 Using the same sensor as vehicle airbags, Fyndr® Alert™ will send an SOS alert along with your GPS location automatically on impact. Press the Alert button to send your preloaded contacts an emergency SOS alert along your GPS location. 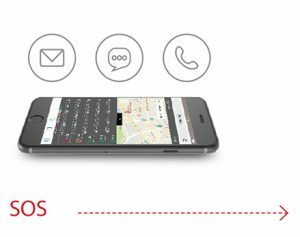 When an SOS alert is generated, your GPS map location is sent to your preloaded contacts and updated every 2-3 minutes. Pressing the SAFE button in the Fyndr® Alert™ App will deactivate the emergency SOS alert, notifying your contacts of your safe status.  Automatically alerts your emergency contacts in a crash. 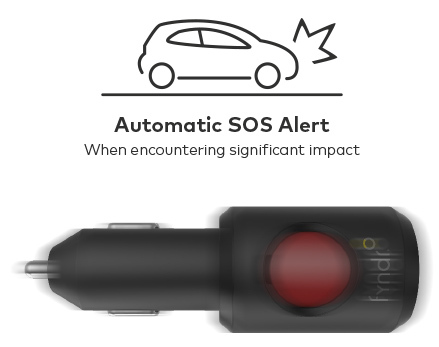 Using the same type of sensor that triggers vehicle airbags, Fyndr® Alert™ feels the impact of a crash* and sends an SOS status alert with a GPS map of your location straight to your emergency contacts’ phone or email. For alerts that are not disabled within 5 minutes, an audio recording will be sent to your preselected emergency contacts to let them know what’s going on. SOS alerts share your location with emergency contacts. Ideal for emergencies. Added Peace of Mind. 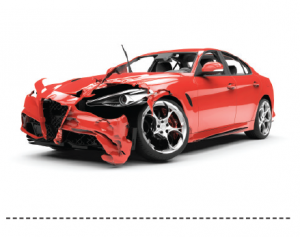 If power is disrupted to your vehicle during an accident, you can rest assured that Fyndr® Alert™ will be there for you. 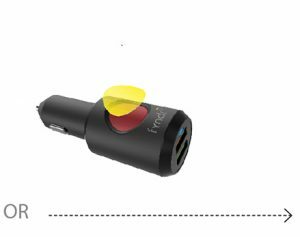 With Fyndr® Alert™’s emergency power supply, the Alert button, automatic SOS alert system and emergency GPS locator will continue to work for a further 3 minutes. Fyndr® Alert™ is equipped with a supercapacitor that acts as a back up power source when needed. Unlike even the most advanced battery technology available, such as Lithium ion and Lithium polymer, a supercapacitor never needs to be replaced. 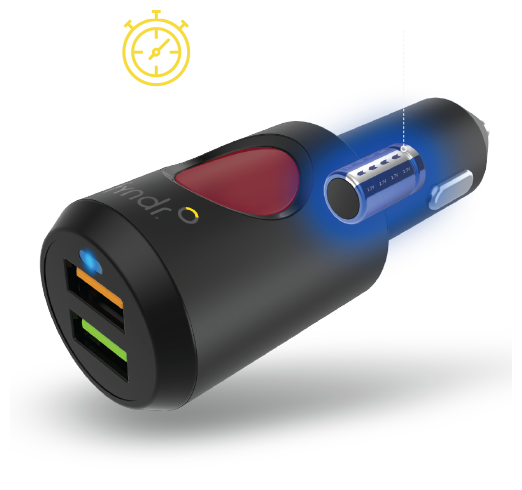 Features Qualcomm® Quick Charge™ 3.0 technology on board. 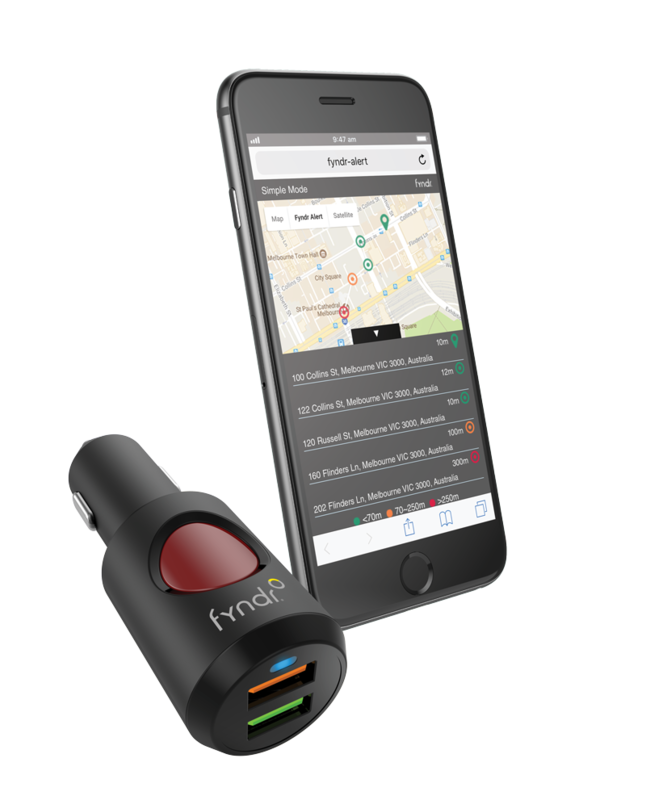 Designed with your safety in mind, Fyndr® Alert™ has a built in G-Sensor for automatic impact detection and when paired to the Fyndr® Alert™ App provides GPS functionality via your smartphone. 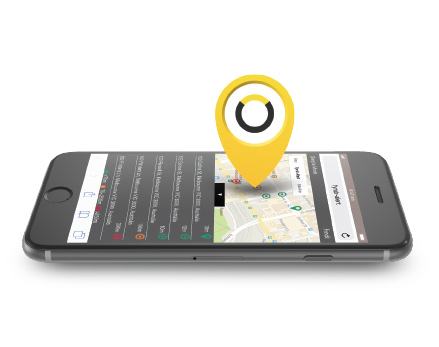 Fyndr® Alert™ helps keep your emergency contacts at easy reach by instantly alerting them when you or your vehicle are in need. 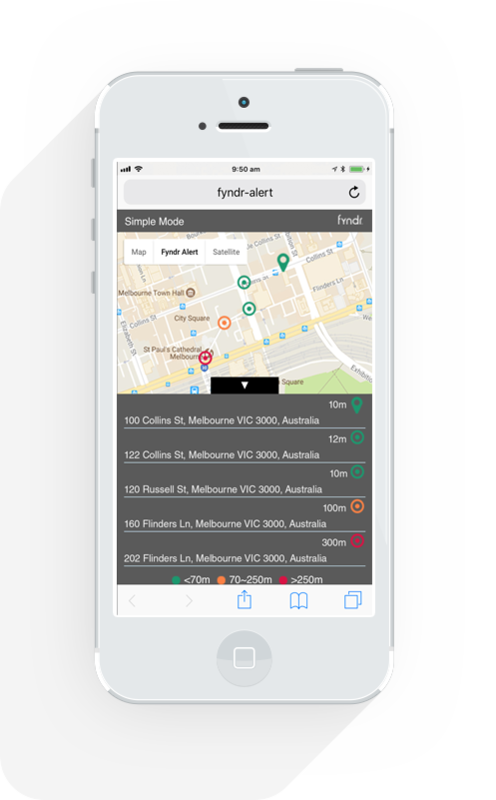 Fyndr® Alert™ app available for download from both the Apple App Store and Google Play Store.  iPhone is a trademark of Apple Inc., registered in the U.S. and other countries. Device not included.